The mining industry is undergoing a core transformation — from the way operations work to the rising demand for base metals. Propelled by technology, pressing ethical standards and the fourth industrial revolution, the mining sector has been rethinking its approach to business since 2017. Leveraging on the global energy transition propelled by governments and companies around the world aiming to reduce carbon emissions, as well as demand for metals for use in infrastructure in emerging economies, miners are working to meet the needs of a changing world. S&P believes copper and zinc will be in the spotlight in the near future. In fact, China’s zinc demand could rise more than predicted in 2019 as infrastructure fixed asset investment growth accelerates to 10% from 3.8% last year, while a pick-up in construction is likely to spur zinc demand and heat up the market, according to Bloomberg Intelligence. In anticipation of the expanding production of electric vehicles, demand for battery metals is growing, becoming the main opportunity in mining. Demand for lithium is expected to soar, as well as graphite, nickel and copper, confirming the trend for the use of base metals in batteries and storage. Copper is a fundamental metal for electric vehicles, and according to the International Energy Agency, their number will increase 1,389% — to 125 million from three million — by 2030, and 3,333% in 2040 to 300 million. Hopwood also highlights that in order to succeed in this changing scenario, companies need to think long term when implementing their strategies, by studying trends and market opportunities and embracing digital innovation. “I see mining really making changes in terms of adopting digital technology and innovative thinking,” he added. The integration of disruptive technologies into operations and risk management can be one of the pivotal points to enhance activity. Artificial Intelligence, AI, has proven very beneficial. Scenario planning enhanced by AI offers a structured way to consider unpredictable futures, equipping executives and engineers with information they can use to make more strategic choices. Thanks to the power of AI mining, companies can identify ore bodies in greenfield and/or remote areas without access to pre-existing geological data. EARTH AI, for example, uses machine learning to analyse geophysical data to identify unexplored mineralisation opportunities in Australia. Since April 2018, it has discovered 18 new greenfield prospects with significant copper, zinc, lead, and vanadium mineralisation. 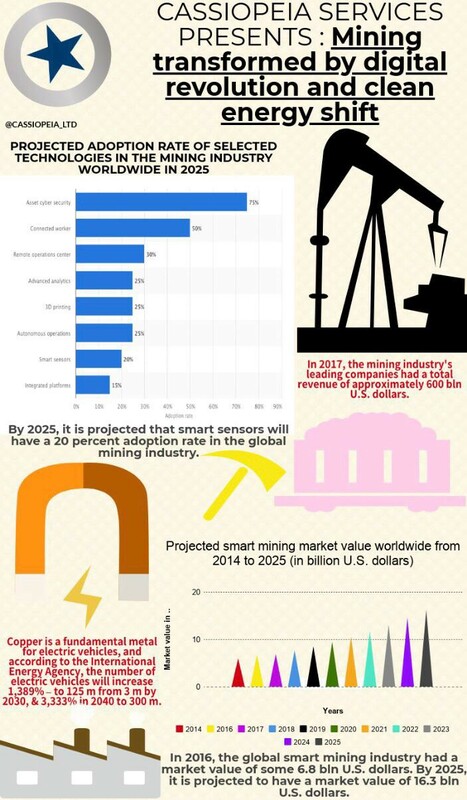 Blockchain, another hyped disruptive technology, can offer multiple advantages to mining companies. An ever-growing consumer awareness means that ethical and corporate responsibility has become a central concern for companies. With the use of blockchain, all the steps in natural resources exploration can be recorded and disclosed, holding companies to account. Blockchain technology has the capacity to store a huge amount of data on an open, secure and accurate platform. A decentralised digital ledger network can record, track, verify and share each and every element of all the assets in one single network, which is open to public access. It can pull together links all along the chain, from raw material providers right up to retailers. Such technology can help fight slavery, child labour and environmental concerns. In the realm of precious metals, palladium is surging, also promoted by automotive industry demand. For the first time in more than a decade, palladium is rivalling gold in value. The key drive to rising prices is increasing demand combined with long-term constrained supply. The palladium price reached as high as $1 400/oz in January 2018, making it ‘the most precious of precious metals,” says Mining Review. In terms of industry revenue, growth will be stable but much less impressive compared with the sharp increase seen in 2017. For the world’s top 40 miners, 2017 was an outstanding year due to the continuing recovery in commodity prices, fuelled by general economic growth, resulting in revenues rising dramatically by 23 per cent. For 2019 and 2020, S&P Global Ratings expect relatively flat revenues across the upstream and downstream sectors. Keep an eye out for our upcoming episode on Financial Fox about new trends in mining and the impact on digitisation. Follow us on @cassiopeia_ltd and subscribe to our YouTube channel. New approach to the mining sector. St-Georges Eco-Mining Corp. operates as a mineral exploration and production company. The Company explores gold, platinum, palladium, rhodium, copper, cobalt, nickel, and other base metals. St-Georges Eco-Mining develops its projects in Canada and Iceland. St-Georges is developing new technologies to solve the some of the most common environmental problems in the mining industry. Part of the strategy of the company is to invest and develop technologies that address corporate responsibility issues underlying the mining industry, and by addressing these flaws, will make mining more sustainable and accountable. The Company controls directly or indirectly, through rights of first refusal, all of the active mineral tenures in Iceland. It also explores for nickel on the Julie Nickel Project & for industrial minerals on Quebec’s North Shore and for lithium and rare metals in Northern Quebec and in the Abitibi region. Headquartered in Montreal, St-Georges’ stock is listed on the CSE under the symbol SX, on the US OTC under the Symbol SXOOF and on the Frankfurt Stock Exchange under the symbol 85G1. 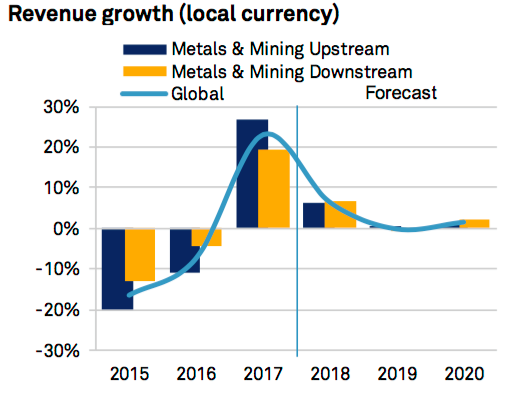 St Georges’ business model is straightforward: the company develops metal processing technologies to be deployed to change the environmental impact of mining operations around the world, while improving the profitability and the financial bottom line of current base metals producers.